Chew 3 tablets after food in the morning. Chew 3 tablets after food in the evening, or as recommended by your healthcare professional. The stomach maintains an acidic pH that helps to initiate digestion and promote microbial defense, yet its epithelial tissues must simultaneously be shielded against harsh acidic conditions. The stomach’s protective mucin barrier must be intact in order to protect stomach health and comfort. Rhizinate is DGL in a chewable formula, which allows it to mix with saliva for direct action on the gastric mucosa. 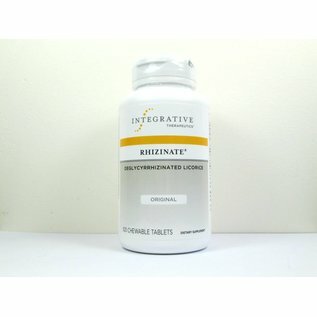 * Rhizinate works by stimulating natural protective factors in the digestive tract that help relieve occasional stomach discomfort. 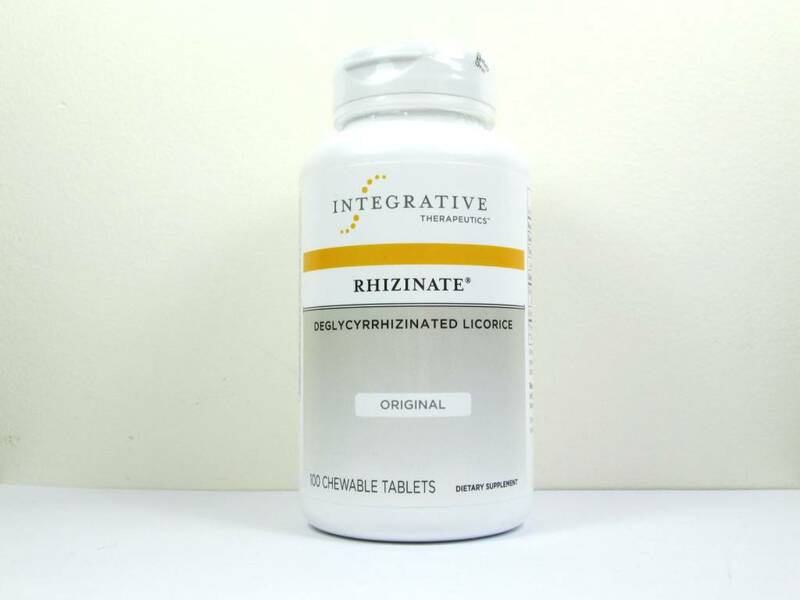 * In Rhizinate, the glycyrrhizin compound contains <1%—which may have a blood pressure-raising effect in some people—has been removed.